A thoughtful refresh of a classic In 1949, Marcel Breuer, the famed Bauhaus architect, designed a model home for an exhibition at New York City?s Museum of Modern Art that focused on modern architecture and the rise of suburban living. The timber-clad home stretched lengthwise and had a butterfly roof that dipped downwards like an asymmetrical bow tie, effectively creating two main zones in the house. 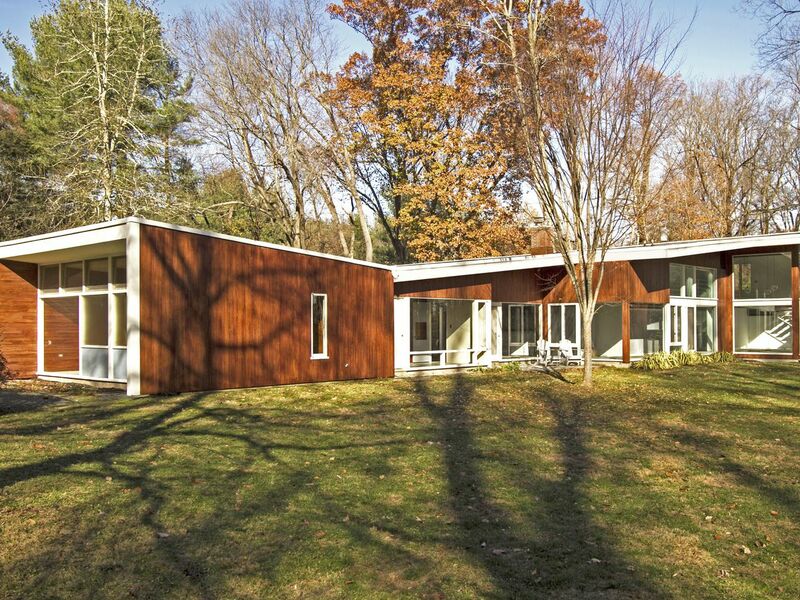 A year later, an advertising executive asked Breuer to recreate the house at scale, on a secluded lot in Princeton, New Jersey. That house is the Lauck House, and it?s recently been refreshed by a family of architects, who restored Breuer?s design to its original glory. Designer Rafi Segal and architect Sara Segal have owned the house since 2008, and have since brought the single-family home back to life. They recently finished the second phase of updating the midcentury house, refinishing the facade with cypress siding, refurbishing the steel windows, renovating two bathrooms, and restoring cabinetry and wall paint. During an earlier phase of restoration, the Segals reconstructed partitions that had been taken down and spruced up the the kitchen and bathroom with period details down to the original hardware. Breuer?s stone floors remain intact.